About the author: William Ritchie, served aboard USS Fremont APA-44. 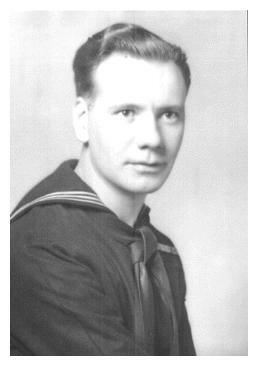 Discharged from the Navy on March 2, 1946 with the rank of Yoeman, 2nd Class, SV-6. Passed away in June of 1992. After his death my Mother gave me all his Navy papers and then I found this site years later… I sent this site copies of all his papers and a diary he kept while on the USS Fremont. The Philippine Diary Project includes the author’s entries from October 12, 1944 (departure from the Admiralty Islands bound for Leyte) to November 18, 1944 (departure from Leyte bound for Hollandia). The diary as published in full can be accessed by clicking this link. We are grateful to Mr. Tony Yebba, owner and administrator of the USS Fremont APA-44 website, for permission to use the Ritchie Diary.